Grass Fed Beef in Las Vegas. Here's where to get it. As the demand for grass-fed beef rises, people want to know where they can go to purchase quality beef from a trustworthy source. Whether you want a whole cow for a crowd or smaller packages of beef for your family, here is a list of resources for grass-fed beef in Las Vegas. Butcher Box Delivers Grass-Fed Meat to your Door in Vegas, packed in Ice. Check Current Promotions. At one time in our history, it was common for people to harvest vegetables and raise animals for butchering. As populations expanded, and new techniques were discovered, more and more of our food became processed in factories and industrialized animal farms. With health concerns on the rise, scientific breakthroughs and easy access to information, people are more health conscious than ever. As a result, many people are going back to the basics when it comes to choosing what they eat and drink. People are more aware of the impact we’ve had on our environment for technology and industrial growth over the last century. We have access to an incredible amount of resources, foods, and fuels, but many people feel we’ve been irresponsible in the care of those things. Fortunately, some farmers in the food industry have taken steps to improve the situation and the impact we have on our planet. One of the changes being seen in the meat and dairy industry is a determination to get back to basics when it comes to raising livestock. Some farmers are embracing a grain, hormone and antibiotic free way of raising livestock for market. They’re keeping their livestock on the farm instead of sending them to feedlots. This is having a positive impact on the quality of food being produced. Farmers spend a great deal of time creating just the right environment for the livestock. The cows (and other animals) are grass fed and given plenty of room to roam. They are without the stress and unpleasant conditions of feedlot animals. The meat is free of chemicals, antibiotics, and hormones. For this reason, many people seek out quality meat from grass-fed livestock. Alpine Ranch is located to the east of Fallon, Nevada. They’ve been a family of farmers for over 50 years. They have 800,000 acres of land that is open to the cattle for roaming. The cows drink from natural springs and creeks. Alpine Ranch does not use antibiotics, grain or hormones on their cattle. Their beef is all natural. Alpine Ranch also raises pigs for Berkshire Pork. You can find them online by searching for Alpine Ranch. Give them a call at 775-351-7405 for more information or to place an order. The Butcher Block is located at 6440 N. Durango Drive in Las Vegas. They are open Monday – Saturday from 11:00 AM – 7:00 PM and Sunday from Noon – 5 PM. The Butcher Block is family owned and operated. They sell a variety of meats, seafood and grass-fed beef. The staff is friendly and helpful, and they carry a large selection of specialty items. To get a full listing of items they sell, check out their website or give them a call at 702-570-6328. Whole Food Market is located at 8855 W. Charleston Blvd. in Las Vegas. They are open Monday – Sunday from 8 AM -10 PM. They are devoted to animal welfare and the responsible treatment of animals raised on the farms and ranches to which they partner. 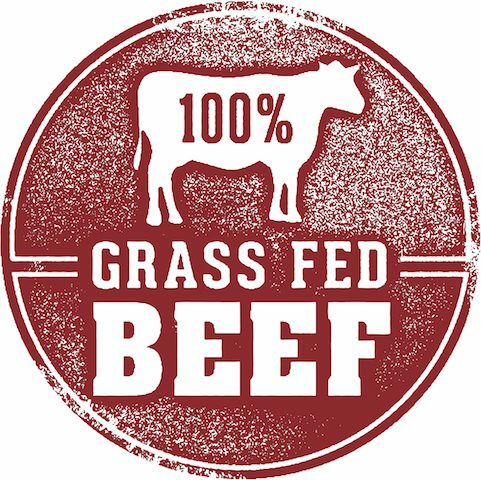 They have high standards for the grass-fed beef and other items they sell to their valued customers. Visit their website to see videos and learn more about their dedication to answering your questions. You can reach them at 702-254-8655. Village Meat & Wine is a gourmet meat market that is located at 5025 S. Eastern Avenue, Suite 23 in Las Vegas. They are open Tuesday – Saturday from 9 AM – 6 PM. They offer only the highest quality cuts of meat and gourmet products. They have a large selection of the best wines, cheeses, and cigars. They also offer exotic meats such as elk, ostrich, kangaroo, and quail. For more information, you can visit their website or give them a call at 702-736-7575. Tivoli Farmer’s Market is located at 302 S. Rampart in Las Vegas. They are open every Saturday from 8 AM – 1 PM. They feature organic, sustainable, grass-fed, quality products. Visiting this farmer’s market is a wonderful way to spend a Saturday morning. They have places to shop for handmade good and places to enjoy a delicious breakfast or lunch. For more information, call 702-900-2552.